2006 Kenzo Estate "Rindo / 紫鈴"
Deep red color. This Sleepy Hollow Pinot Noir has loads of strawberries, cloves, anise and black olive in the aroma profile.These scents become more abundant in the palate, paired also with flavors of cherry and custard. Crisp acidity and lush tannin make for a richly styled Pinot Noir that is hard to pass up right now. One of our finest efforts to date from this 30+ year old vineyard. Drink now through 2014. Anne Gros made her first vintage of Bourgogne Blanc in 1996 with an emphasis on quality fruit and traditional winemaking methods. 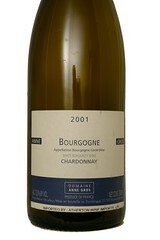 The 2001 is a wonderful addition to her lineup and is one of only two whites made at the domaine. 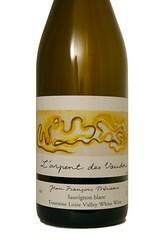 This is rich, fat chardonnay fruit with aromas of honey, apple and pear. But there is good acidity, too. The wine is aged for one year in 100% new French oak barrels, which imparts notes of fresh churned butter and roasted nuts. Wow! All this in a straight Bourgogne blanc! 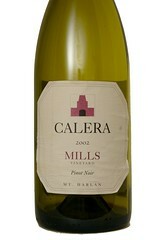 The 2002 Mills is a forward and aromatic wine. Notes of ripe strawberries, black plums, black pepper and vanilla are prevalent in both aroma and flavor. As is characteristic of Pinot Noir from the Mills Vineyard this wine has excellent structure with a core of well defined tannin under its fleshy, velvety texture. 2002 was an excellent growing season for Pinot Noir on Mt. Harlan. Early budbreak followed by a summer of mild days and cool nights prolonged the hang time, giving us exceptional quality and intense fruitiness in the grapes. The fruit was hand-picked starting in mid-September. Each lot was fermented whole cluster, with indigenous yeast in small open top fermenters. The wines were pressed after 14 days and racked by gravity to barrels following overnight settling. Aged without racking in Francois Freres barrels, 30% new, for sixteen months, the barrels were combined prior to bottling and the wine was bottled unfiltered. 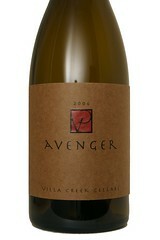 Avenger is our Syrah based blend, which launched the Villa Creek wine program back in 2001. While much has changed for us since that inaugural vintage, Avenger remains a favorite in the line-up. The 2006 Avenger is comprised of Denner and Booker Vineyard fruit. The grapes from these vineyards continue to gain complexity and richness with age, and this just may be the richest bottling of this wine to date. Palate: Cinnamon, black cherry, peppercorn, maple cured bacon, concentrated with a muscular finish. The optimum conditions during 2005 allowed the fruit to exhibit ripe flavor and texture despite yields of only one ton an acre. 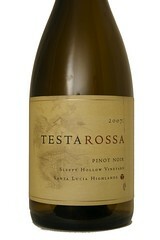 This Pinot Noir has black raspberry and dark cherry flavors layered with aromatic rose petal and mocha notes. 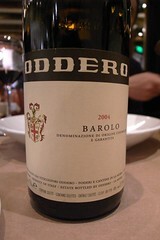 Its soft tannins add complexity without being overwhelming. Its elegant structure is typical of that found from the sandy loam, Gold-ridge soils of the Russian River Valley/Sonoma Coast region. Extended skin contact during a cold soak prior to fermentation accentuates the rich texture without extracting overwhelming tannins. Rindo refers to Gentians or the Japanese Bell Flower, which blooms in the fall around the same time as the grape harvest. 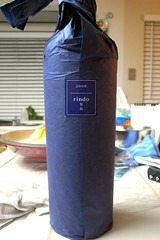 Rindo is Kenzo Estates' proprietary red table wine, a blend of Cabernet Sauvignon, Merlot, Cabernet Franc and Petit Verdot. 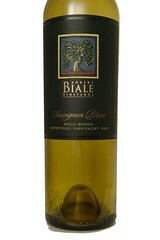 With a core of black fruit and baking spices, this wine imparts a complex aroma and flavor that lingers on the palate. This is from a single parcel of vines that are 60 years old, it is all hand harvested, all organically farmed and aged in stainless steel for 7 months on its lees with some stirring for added richness. Here we have a bottle that can give most Sancerre a run for their money (actually less money) with its distinctive minerality and freshness coupled with effusive aromas of candied citrus, honeydew melon and sweet herbs. This wine is characterized by the harmony between the very soft and very fine structure and the complex aroma given by the soil of the Graves. 94 points Wine Spectator: "Has wonderful richness and suppleness, lovely fruit and harmony. 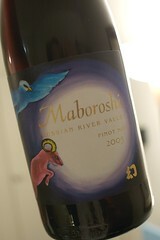 A superb example of a graceful, balanced wine that is delicious now and can evolve over many years." 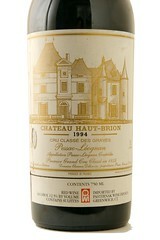 92 points Robert Parker: "I continue to find similarities between Haut-Brion's flattering, elegant, rich, powerful 1985 and the estate's gorgeous 1994. The latter wine possesses outstanding color saturation, as well as an open-knit, forward nose of smoky, sweet, red and blackcurrant fruit intermixed with minerals and vanillin. Medium to full-bodied, with layers of flavor, this superb wine is a great example of just what intensity and elegance administrator Jean Delmas is able to pack into this wine without it tasting aggressively oaky, overblown, or too heavy. In many respects, this is the most aromatically complex and best-balanced of all the Bordeaux first-growths. Look for the 1994 to be precocious and flattering by age 4-5, and keep for 20-25+ years."